I've always been amazed with Thai commercials but they make pretty awesome movies as well! 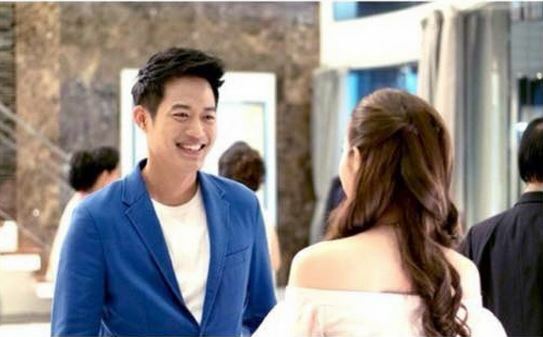 It all starts with this Japanese girl who wants to break up with her Thai boyfriend (Gym) and enlists the help of her Thai English teacher (Pleng) to translate as the soon to be ex-boyfriend does not really understand English. Pleng translates the audio message to Gym. However, he becomes angry and holds Pleng accountable for the break up because she taught the girlfriend English to work in US. Gym forces Pleng to teach him English as well so he can interview for the same job in US. The duo spend a lot of time together with ridiculously hilarious scenes. At the same time, one of Pleng's students (Pyeok) started pursuing her. He's charming, handsome and rich but there is more to know about him. Is he really perfect? The storyline seems cheesy but it was not a single bit disappointing. The cinematography, editing, framing, everything! It was all perfect. The midnight movie had the entire hall laughing and nobody fell asleep. I highly recommend you to watch it if you have not already. Btw, Pleng is so darn gorgeous!